We’ve found, who is possibly, the most endearing guy in Singapore! Someone who seem to have decided that moving forward is not all it’s chalked up to be, and believes that the old world has much more to offer. Someone who lives in the the good old days where conversations are real … and aren’t rushed. He stops to really talk to you, then he listens to you. The world is rapidly changing and let’s face it, it’s not always for the better. As we grow, adapt and become a product of our environment, the question of, “Where have all the good guys gone?” is getting more air time than we would like. “Ala” is a rare breed if you ask me. A genuine nice guy from the golden era. Saying that, you musn’t walk into this jazz-filled shop without a, or at least some, sense of humour. When we first walked into his shop, he started taunting us within 2 minutes, and did not stop till we left, breaking only briefly to have a chuckle to himself. You can tell that he really enjoys it. 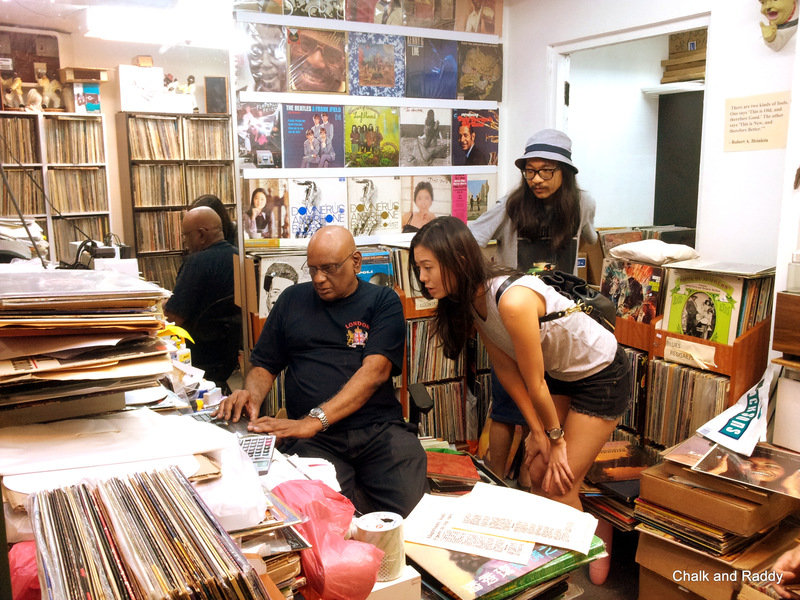 However, when we do get the pleasure of listening to him talk seriously about records, we challenge anyone to find another in Singapore who knows more than him about vinyl recordings, labels, musicians, sound engineers, etc. The nicest thing about vinyls is that – they remind you to take your time. Take your time to talk to the record store guy (even though he may poke fun at you initially). Take your time to listen to some of the songs from artists you’ve never heard of before. Take your time to put on the record when you’re home. Take time off your schedule to listen to (and not just hear) the music that is being played. When you’re a kid, your favorite toy store seems to be this huge, magical palace where your mind slips into a blurry world of imagination as you wonder up and down different aisles. You always want more than you can have. Sadly, as we grow up, we seem to have forgotten about the simple pleasures of imagination and amazement. 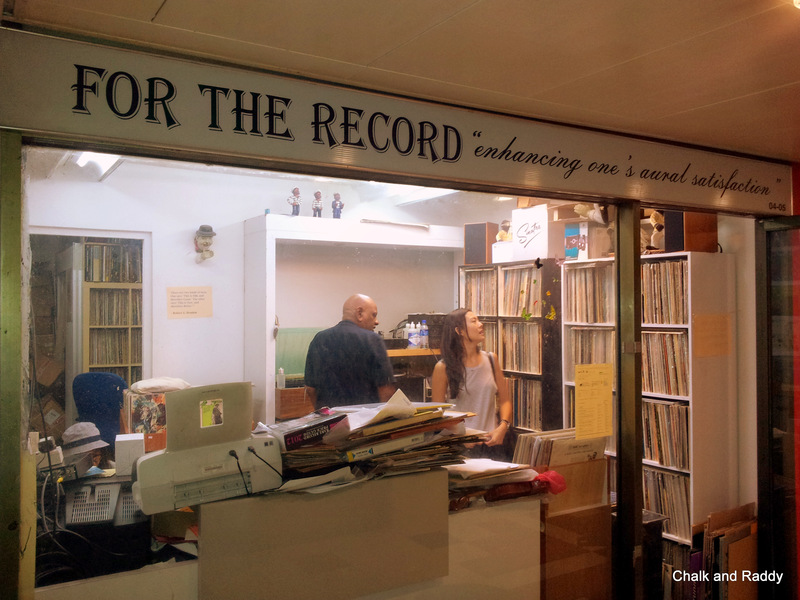 This little shop, “For The Record” (with no regular opening hours) holds jewels from the past. This little shop reminds us not to move forward so quickly, and to just take our time. Thank you Ala, for doing what you do – and doing it with a smile! Posted on August 20, 2012 by ChalkandRaddyPosted in PeopleTagged Ala, For The Record, LPs, Records, Singapore, Vinyls.